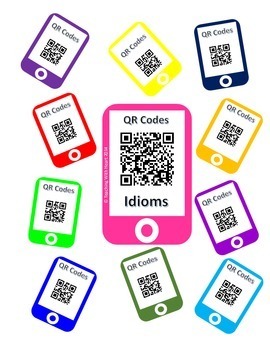 If you're lucky enough to have access to at least one smart device in your classroom, there are many ways in which you can make use of QR codes to make learning more interesting and exciting for your children. In case you're not familiar with them, QR (or Quick Response) codes can be scanned by most smartphones and tablets (and even a computer with a webcam). You can use a QR code generator (there are many free online) to create a code linking to text, a URL, videos and lots more. It's great for children to conduct their own research but sometimes they might need some guidance. QR codes are a great way to point them in the right direction. You can pick a number of suitable websites, display the QR codes in the classroom and the children can do independent research using websites that have your seal of approval. Here's how I guided my international school students when learning about Irish culture. They had to find some specific information but there were many open-ended questions to allow them to direct their own inquiry. 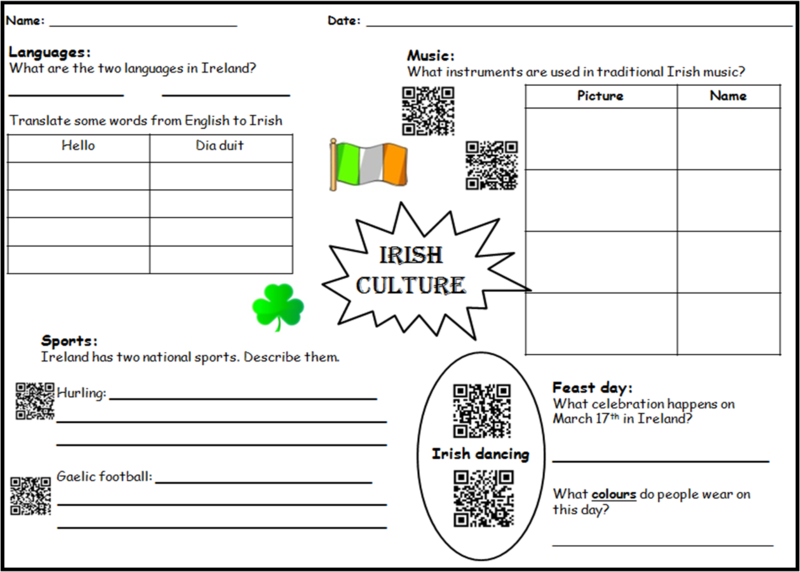 The QR codes on this sheet link to YouTube videos of Irish dancing and Irish sports and also to a website with easy-to-understand information about traditional Irish musical instruments. Jennifer Bates from Finally in First has used QR codes so that the children in her class can correct their own answers after doing a task. Here, they need to identify the adverb in the sentence. They write their answers on a task sheet and then scan the QR code to read the correct answer. 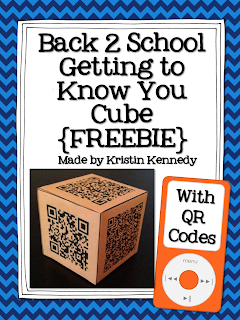 Kristin-Kennedy (from iTeach 1:1) makes loads of resources involving QR codes. I really love this scavenger hunt idea. One of the cards says start. When you scan that card you receive a clue (in this example, "find an acute angle.") She has also included a recording sheet with this. This was part of a homework task I set this week. 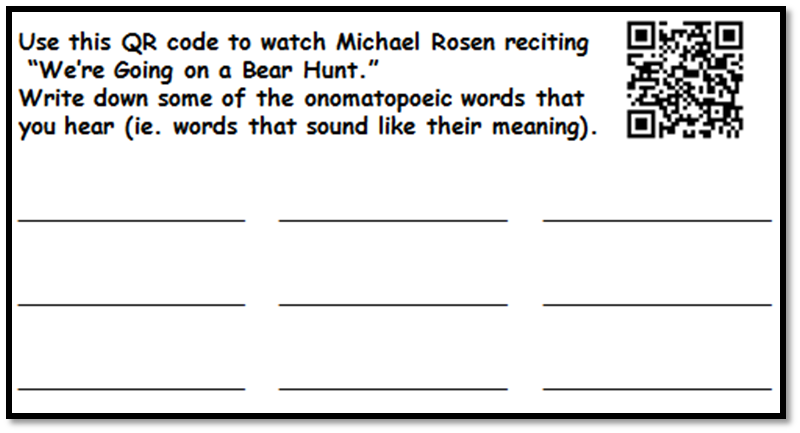 The children had a QR code that led them to a video of Michael Rosen reciting "We're Going on a Bear Hunt." They had to record the onomatopoeic words from this. This is a great way of leading children to the EXACT resource you intended! 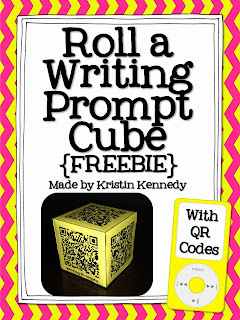 Some more gems of ideas from Kristen Kennedy are to make cubes with QR code prompts - for oral language or writing lessons. Not recognising which QR code you have already scanned adds a bit of mystery and excitement. 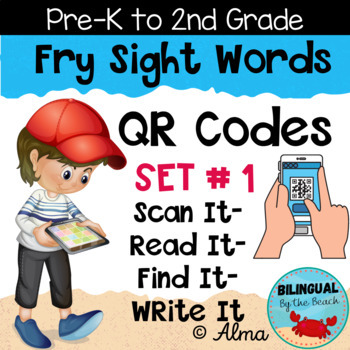 This is a simple but interesting way for children to practice sight words by Alma Almazan from Going Back to Kinder. In this activity, the children are supposed to scan the card, read the word on their device, find a matching card and then record it on a response sheet. This could also be used for practicing weekly spellings or specific vocabulary. Just scan, read, cover, write and check. Lawren Christianson from Teaching is a Royal Adventure uses QR codes to create independent listening stations. The code links to stories that are read aloud. 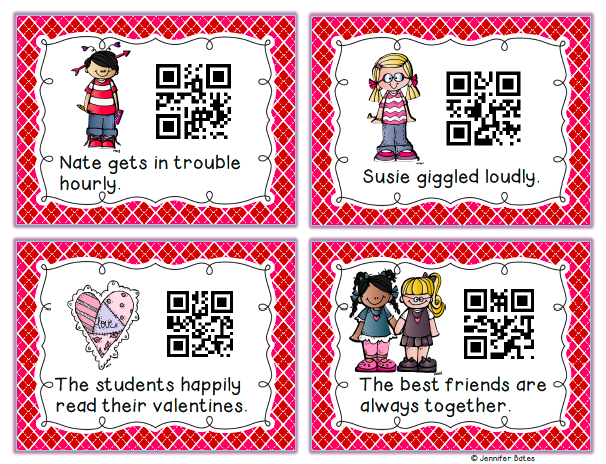 Here's how the person behind "Teaching With a Heart in Texas" used QR codes to teach/reinforce understanding of idioms. The idiom is on the same card as the QR code that links to its meaning. This would also be a great way to introduce challenging vocabulary before/after reading to aid comprehension. It could also be a great way of teaching new vocabulary in another language. The QR code could be placed under a picture and link to the name of that thing in the new language. 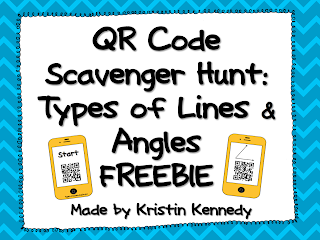 If you'd like to share ways in which you use QR codes in your classroom, please comment below!